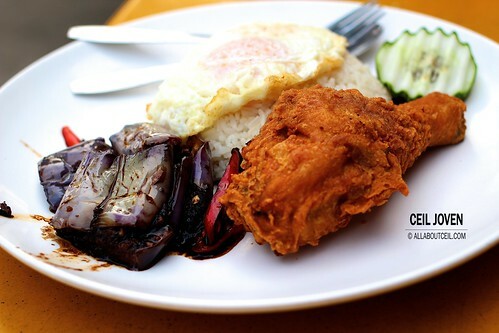 ALL ABOUT CEIL: Ponggol Nasi Lemak - is it worth it or not? 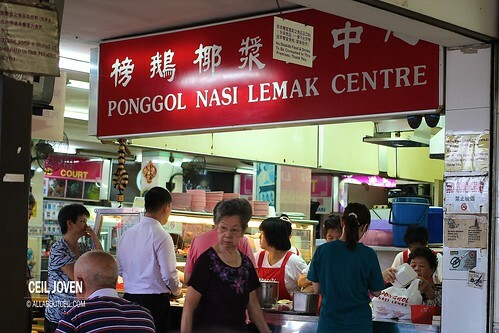 Ponggol Nasi Lemak - is it worth it or not? The queue was already crazily long when i gotten there slightly after 6 pm. I decided to join in nonetheless and waited for about 15 minutes to order. 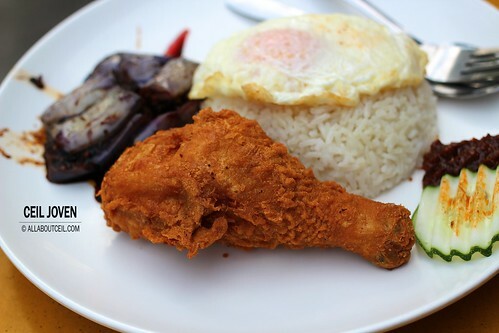 I decided to go with a piece of Chicken Drumstick, a fried egg and a portion of stir-fried Brinja for $5.20. I would think it is definitely over priced. The rice tasted amazingly good with a strong infused taste of coconut and pandan at just the right texture. That piece of chicken drumstick was perfectly deep fried to give it a delightful crispiness and it still tasted tender within. It tasted decent though not particularly outstanding. The fried egg and brinja were just decent. I would expect the sambal chilli to be better but its level of spiciness was mild with a slight sweetness. Do i think it is worth the long queue? I do not think so. 965 Upper Serangoon Road SINGAPORE 534721. Probably the best Fried Oyster in Singapore. One of the better Chicken Chop eaten. [HONG KONG] The Match Box. Perfect time in Hong Kong.